Every week I get books in the mail. Review copies. 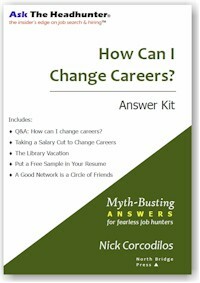 These are from authors writing about career topics who would like me to plug their books on Ask The Headhunter. I know how hard it is to get your writing published, so I don’t respond when I have nothing nice to say. Most of the time, even the titles are embarrassing. (No, I won’t tell you the titles. Our moms were right. Sometimes it’s still best to say nothing if you can’t say anything nice.) The material is weak. The methods described are hackneyed, and they still don’t work. Some of these books are preposterous; others, too clever for their own good. 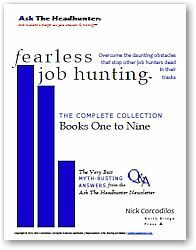 The problem with most career books is that they don’t tell you anything you need to know that will make a difference in your life. So, when I find something that can make a difference, I squeal with glee. Today, something turned up. Except this isn’t a book. It’s two stories, and, according to the author, they’re true. Each story is about a person who couldn’t land a job. Each story is about what these people did during a job interview. Each closes with the lessons learned. The stories are short. They teach more than any career book, and what they tell can make a difference in your life. Written by Brooke T. Allen, who has been there, done that, these stories are little gems. Job hunting and interviewing are difficult, trying tasks. Rejection is not only common; it is standard. The key to success lies in who you are, and in the confidence you demonstrate. My favorite line is one of the lessons at the end: If you don’t like rejection, make offers that are hard to refuse. That sentence beats every career book ever written. I agree with Nick’s comment that most things people suggest don’t work. I’ve also discovered that the best thing to do with something that might work is to TRY it and see if it does. Both stories ARE most certainly true, although I used some poetic license with the dialog. And these are people who CAN and DO land jobs. Sally landed her next job at a brokerage firm that paid for her to go to college. The second story is about me and I have not been involuntarily unemployed since high school (1969) except for two weeks around the time of the second story. I have landed nearly every job I’ve ever gone after. 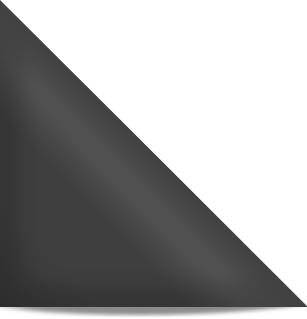 One exception… While a graduate student I saw the perfect job at an airline — free travel. After the hiring manager turned me down, I put him on my mailing list for all my articles, education and research work. Six months later he called me up to offer me a job if I’d just get him off “that damn mailing list.” That one took longer. Well, those were amazing stories! They were encouraging. They made me feel hopeful. They also made me wonder if I would be capable of so much enterprise myself. To be honest, I think I would have given up much sooner than Sally or Bob. So how do we get to that point—how do we have as much gumption as Sally, as much willingness and ingenuity as Bob? Thanks for the link, Nick. Thanks for sharing your stories, Brooke. The pics are great too! The one of your son Davis really cracked me up. Working Girl, I loved your question about what the workplace would be like if everyone were like Sally and Bob. Well, people would be stepping all over each other to get work done. The place might need a lion tamer, but once the all the lions were jumping in the same direction, I have to think it would be quite a productive environment because people would be thinking about their jobs, doing their jobs, and looking for ways to make themselves even more effective in those jobs. And moving up. It seems to me that Sally and Bob’s biggest attribute isn’t so much their gumption as it is their ability to listen, which is something most of us don’t do very well. They listened hard, heard what the other person needed, and showed that they had the ability to do that very job. As I read Nick’s work, I’m always struck with the central message, which is “show them you can do the job,” and that’s what Sally and Bob did. But before they opened their mouths, they opened their ears. That’s a good lesson for us all. Bob (the interviewer) was the hiring manager in the second story. I was the interviewee (the guy who landed the job). To be honest, my sense of Bob (not his real name) was that he was a bit pessimistic about the prospects of getting anything done. My thanks to both Nick & Brooke. 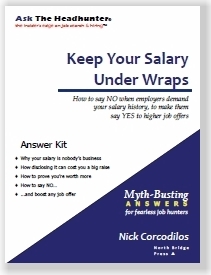 The stories exemplified the principles Nick talks about on this site, and covered in his book. I just needed it encapsulated in a way that helps me understand what Nick has said, and deals with issues I fear facing in a more direct and simple way. I like both of these stories. But at the heart is this idea: Let me start working, very possibly for nothing, and if you think I’m doing the job well, you can pay me later. What do you do if you try something like that (start working for either almost nothing, or much less than you are worth), and then the person either doesn’t decide you’re worth it, or gives you something which isn’t worth what you thought? One job I had, I took at 3 month trial contract (a “if you do well, we’ll hire you” sort of thing). I completed my assigned work, on time. At the end of the three months, I wasn’t told “You’re gone” — just the opposite, I thought I was hired. Three days later, after I had done some documentation for them, I was fired. Apparently, since I was hired through a separate employer of record, and kept that when the 3 month contract ended, they didn’t consider me a loyal employee. It didn’t help that my supervisor was a work-a-holic, and gave a report that was basically (as he explained to me), “Since you didn’t go above and beyond the requirements at all, we don’t want you”. Don’t ask about another job that I took where I started at $10/hr, with the idea that (1) I would receive a portion of the company’s value as it grew (it was unincorporated, so there was no actual stock), and (2) I would get a pay raise as the company’s finances improved. Just realize that I’ll never do that again. 1. If you take a gig on trial, charge a healthy rate while they test you. Make it high enough that if the deal doesn’t work out, you won’t feel too bad. 2. Make the trial gig shorter. 3. This will sound slimy, but it’s just insurance: build a back-door into your work. Not something that allows you to ruin them; but something that prevents the employer from benefiting more than they paid out to you. Use the back-door if they take advantage. 4. Get earlier and more frequent written reviews of your work. (“I’ll do a trial run for 30 days, but on the condition that you pay me $X per hour and provide written reviews each week.”) That covers you and reminds them they can’t play games so easily. 5. Never work with jerks. Listen to your gut. A workaholic boss who expects more than he’s paying for is not worth working for. Your final story reminds me of a company I started with another guy. We each agreed to take stock in lieu of significant pay. Unbeknownst to me, he was padding purchase orders and invoices from vendors and pocketing a lot of cash. When I realized it was going up his nose, I checked out. He quickly issued more stock (he and his wife controlled the business) and diluted mine. And refused to buy it back. 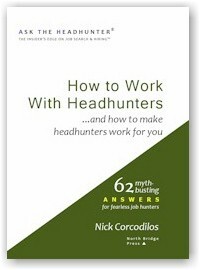 I re-learned what I learned here: http://www.asktheheadhunter.com/hamoveon.htm and never looked back. I still have the stock certificate. It’s a good reminder that I forgot to not work with jerks. When I observe people on their journey from zygote to dust, this sort of thinking often ends up painting them into a corner so that, when their spouse dies, their last friend moves away, their last skill fades into uselessness, then they are ready to die. It is a struggle to avoid this kind of thinking – but it is worth the effort. Your sample size is too small. If you work on a 3 month trial and it doesn’t work out… don’t invent a rule for yourself… find lots of similar stories and if it appears to never works out for anyone… well, you need to find inspiration elsewhere. People often SAY what they are doing is learning from their mistakes, but they are REALLY doing is building walls around themselves to keep out bad people. But only bad people are motivated to scale those walls. Good people have better things to do. Find inspiration in your own positive stories. Before inventing a rule to avoid a repeat of a bad experience, look for a counterexample to the rule because it takes only one counterexample disproves a rule. If you do, you may find it isn’t even worth the effort of remembering your unhappy stories and you’ll live a more enjoyable life if you let them fade away. I would like to reinforce this point. We are told to learn from mistakes. A mistake is something we did in the past. Knowing what to avoid from past experience tells us nothing about the future. We might avoid the mistake, but there is no proof that the new course of action is correct. We can only make assumptions that it might be so. It is in the future, which we cannot predict. So how can we raise the probability of success of our future actions? We need to understand what worked in the past, and why. We need to learn from our successes, not from our failures. So ask yourselves the question: What did I do right, and why was it right? One could argue that this approach leads to stagnation since we keep doing the same all over again. So what, if it’s successful?